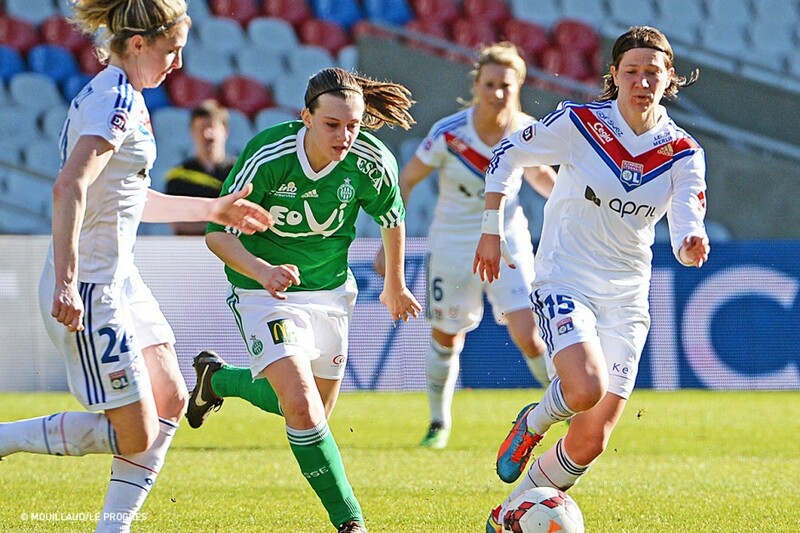 Les Lyonnaises won the women's first division derby against Saint-Etienne 4-1 on Sunday, thanks to an excellent first half, at the Stade de Gerland. 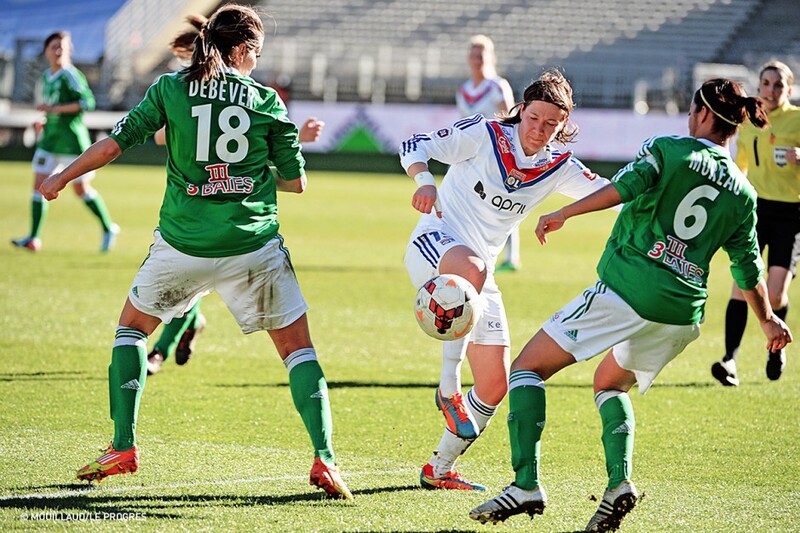 Everything happened in the first half of this derby, deservedly won by the OL Women. 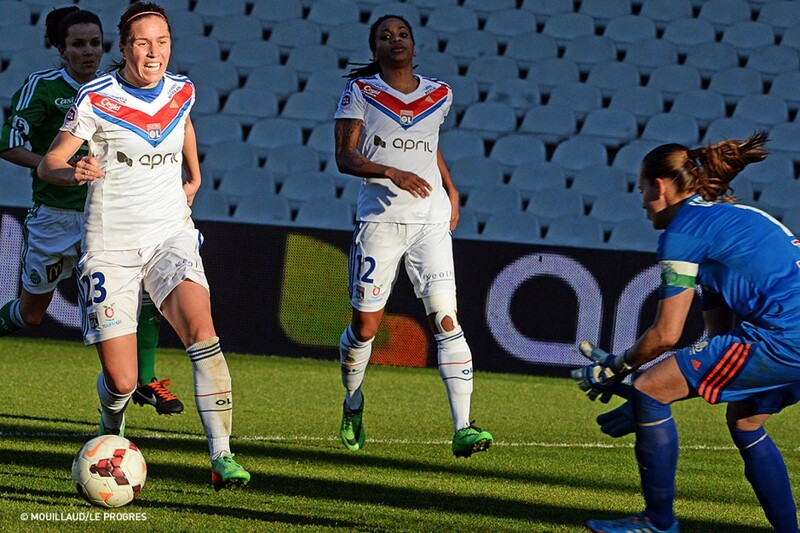 And like so often this season, it was from a corner that Patrice Lair's girls made the breakthrough. 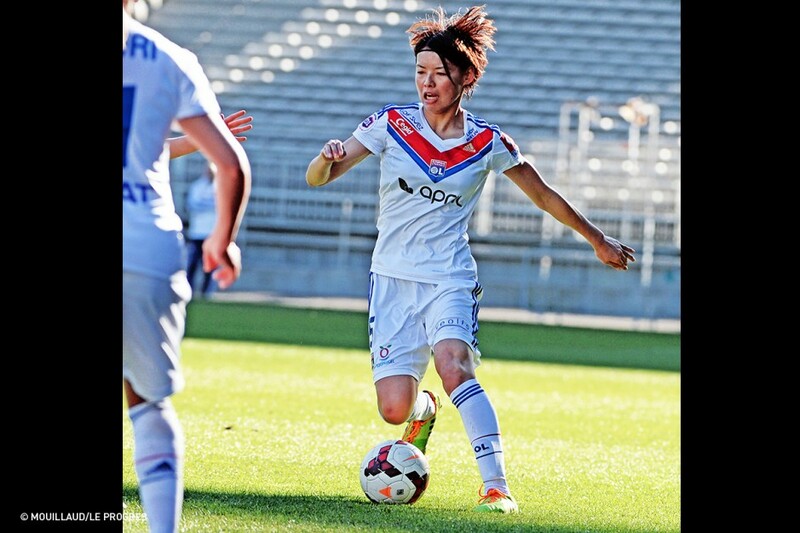 Laëtitia Tonazzi opened hostilities, imposing herself in the air at the front post (1-0, 12'). Then everything happened very quickly, with ASSE equalising just 3 minutes later. 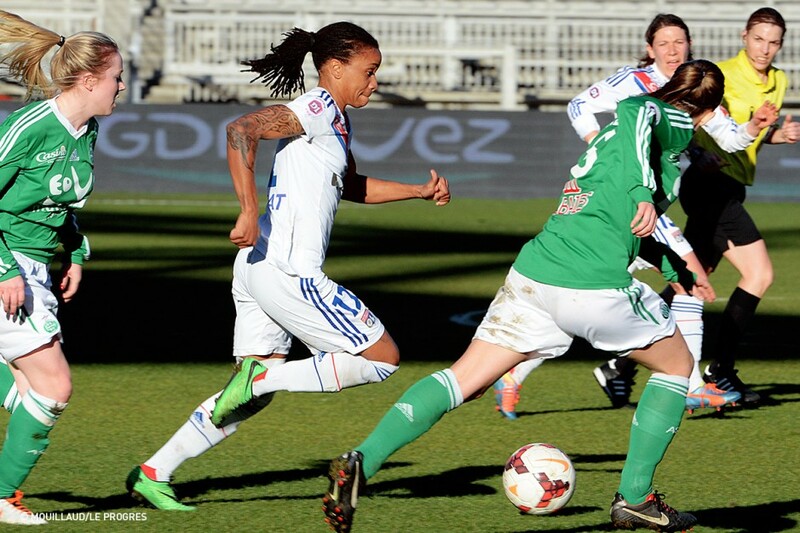 After a Lauvaud free-kick was blocked by the wall, Gherbi slotted home with a side-foot finish (1-1, 16'). The suspense didn't last long. Les Lyonnaises reacted immediately. 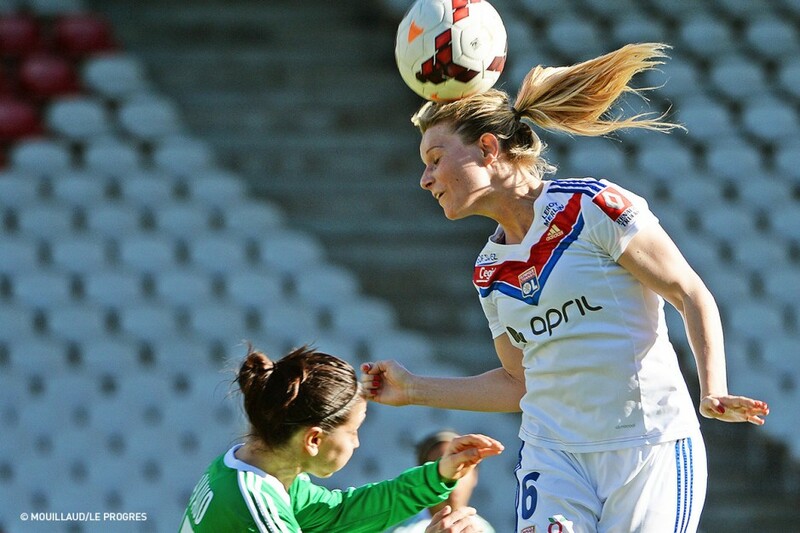 Amandine Henry hit the crossbar with a header from another Elise Bussaglia corner (17'). 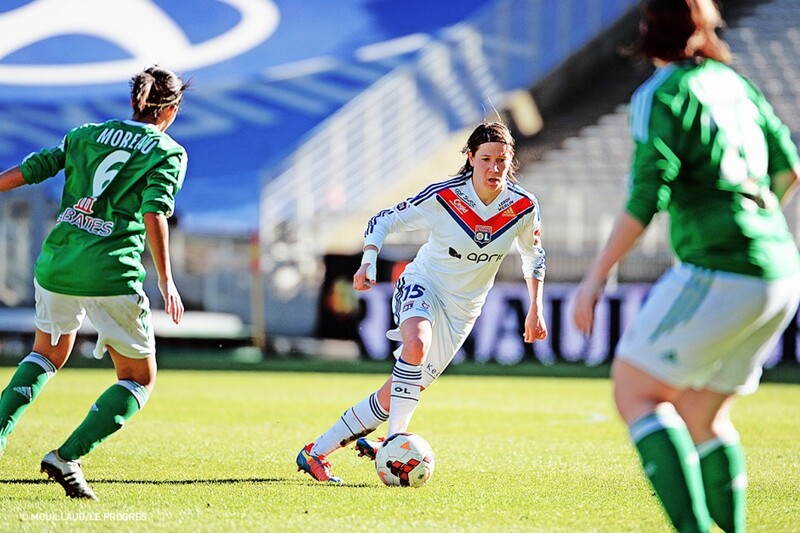 Then a Laëtitia Tonazzi cross picked out Lara Dickenmann, who buried the ball to give OL the lead back (2-1, 18'). 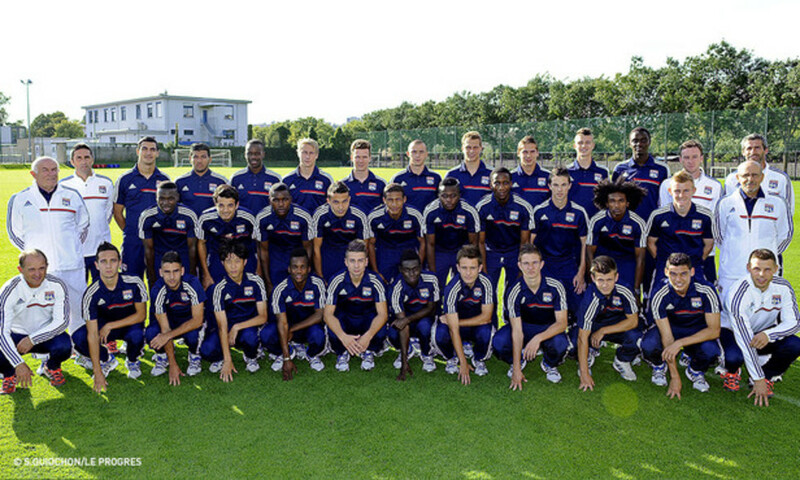 The 6,297 spectators at the Stade de Gerland celebrated. Les Lyonnaises then took the game beyond their rivals before half time. 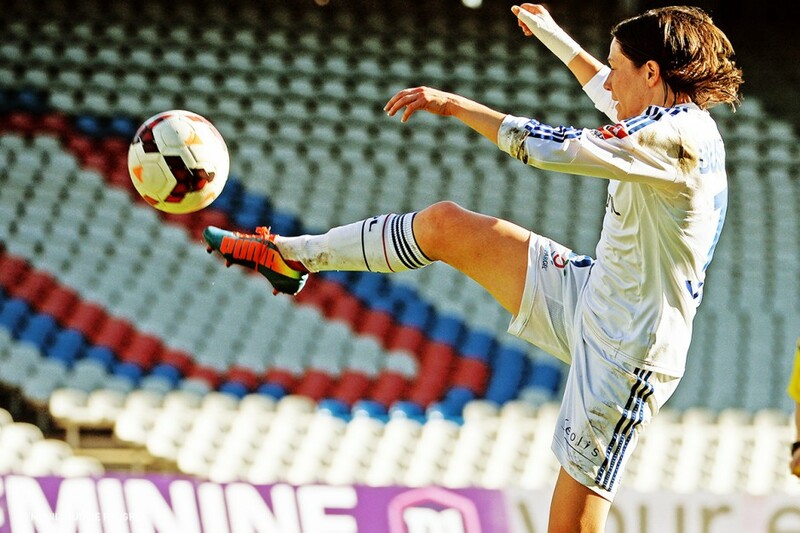 Rose Lavaud scored past her own goalkeeper after Bussaglia's free-kick came back off the post (3-1, 31'). 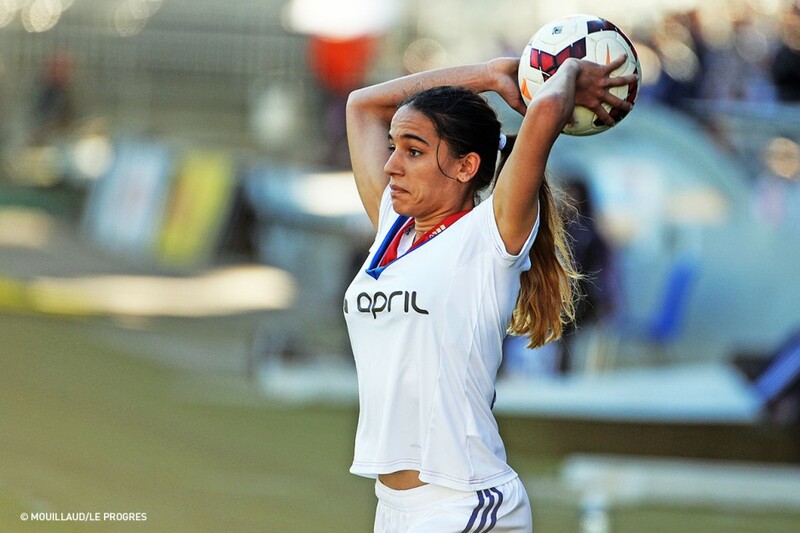 Then Camille Abily, netted her side's fourth from Corine Franco's nod down (4-1, 43'). That was the end of the action as the intensity dropped off in the second half. 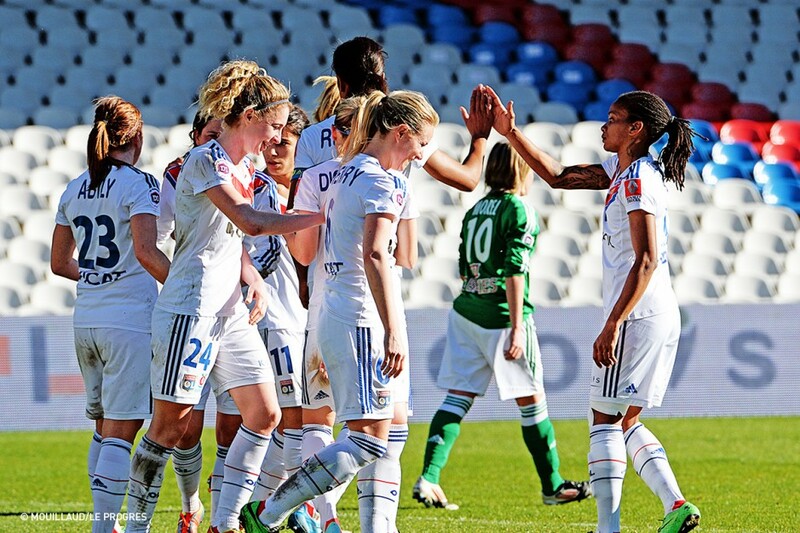 OL maintained their place atop the D1 standings, three points ahead of PSG, who defeated Arras 6-1. Bouhaddi - Franco (Plaza 70'), Kumagai (Viguier 70'), Renard (c.), Majri (Necib 50') - Henry, Abily, Bussaglia - Thomis, Tonazzi, Dickenmann. 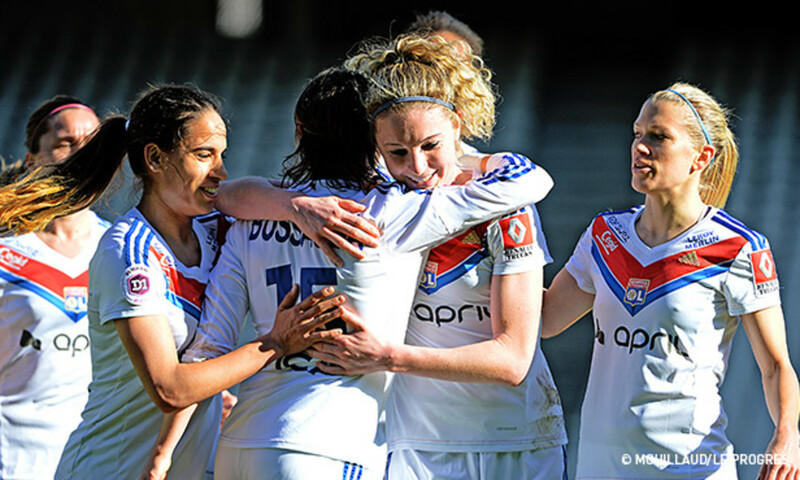 Tonazzi (12'), Dickenmann (18'), Lavaud og (31'), Abily (43').